They do good work and their prices are competitive. I have been satisfied with them. They are efficient, and when they say they are going to have something done, they have it done on time, which makes it easy to deal with them. When you take your vehicle in, they don't try to sell you unnecessary repairs. They are always pretty fast, and I am usually able to get my car out of there in one day. They're the best place in Fremont for auto repair, that I know of. They're clean, professional, and they know what they're doing. I never have to go back, because I've never had any problems with their repairs. 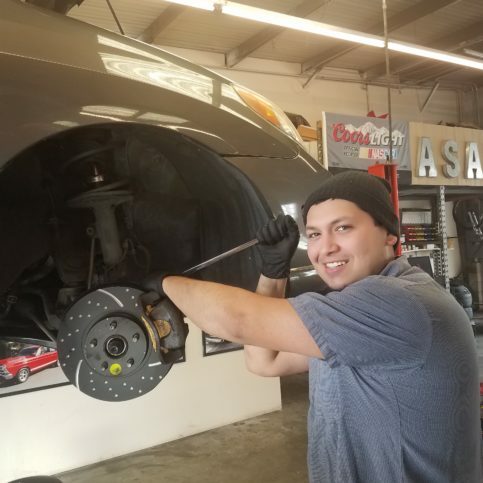 ASAP Automotive, Inc. provides a wide range of repair and maintenance services for all types of domestic and Asian vehicles at its Fremont facility. 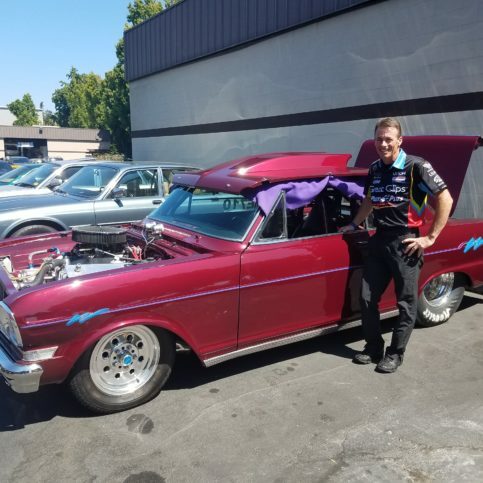 In addition to handling routine work like oil changes, brake repairs and wheel alignments, the company offers a variety of specialized services that are designed to increase the performances of hot rods and racing vehicles, including custom exhaust systems, roll cage installations and suspension modifications. 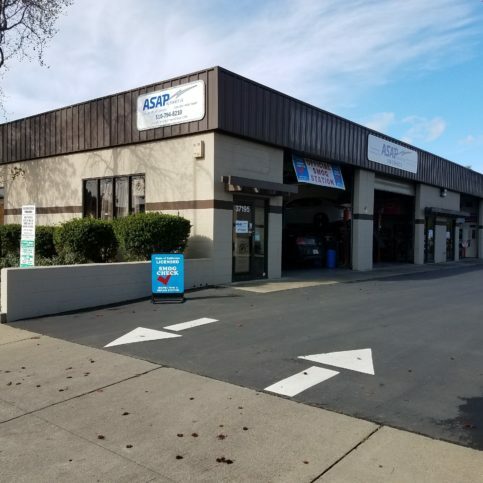 DIAMOND CERTIFIED RESEARCHED CAPABILITIES ON ASAP Automotive, Inc.
Company Name: ASAP Automotive, Inc.
DIAMOND CERTIFIED RESEARCHED ARTICLES ON ASAP Automotive, Inc.
ASAP Automotive recently expanded its Fremont facility to include more service bays. ASAP Automotive has been repairing and maintaining all types of domestic and Asian vehicles at its Fremont facility since 1994. 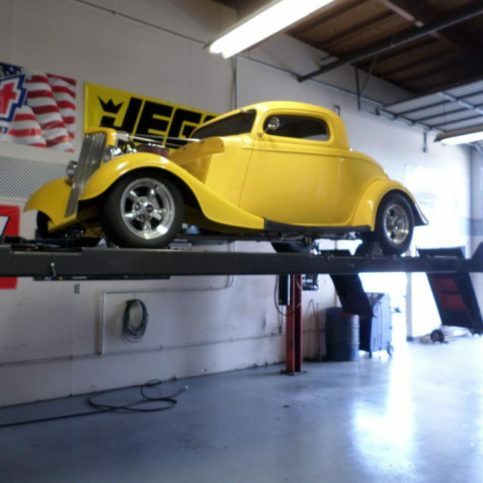 In addition to performing oil changes, repairing brakes and handling other routine work, the company offers numerous specialized services that are designed to increase the performances of hot rods and racing vehicles, including custom exhaust systems and suspension modifications. If you notice cracks or chips in your windshield, have it repaired immediately. Trash, pebbles and sand particles can fracture the glass and cause dings that, if left unattended, can turn into bigger cracks that obscure your driving vision. If you find a ding, you can cover it with a piece of packing tape to temporarily prevent contamination until you can get it professionally repaired. Provide extra care during the winter. Avoid using hot water to remove ice from your windshield—it could cause cracking. Instead, use a spray bottle to apply a de-icing solution of one part water and one part vinegar. Use shallow, downward strokes to scrape the ice from the corner of the windshield toward the center. If you don’t have an ice scraper, you can use a plastic spatula. Crack your windows when you park in direct sunlight. Small cracks in the glass can quickly expand and spread when there are considerable temperature differences on either side of the windshield. You can avoid this by cracking your windows, which prevents heat from building up inside your vehicle. Avoid ammonia-based glass cleaners. Ammonia-based cleaners can negatively affect your windshield’s tint, so use a vinegar- or alcohol-based product instead. Also, remember to use microfiber or cotton towels—they’re highly absorbent and don’t leave behind streaks or dust. Make sure your wipers are working properly. A lot of windshield scratches are caused by sand particles and dirt from the wipers, so it’s important to check and properly clean yours on a regular basis. Use a rag and rub windshield washer fluid along the blades to remove dust, sand particles and other contaminants. Also, be sure to frequently refill your washer fluid to clear bugs and road debris from your view. Q: What kinds of vehicles do you service? A: We work on all types of American and Japanese vehicles, including hybrids. We don’t service European cars or electric vehicles. Q: How long will it take you to fix my car? A: It depends on a lot of factors, but once we complete the diagnostic, we’ll check the availability of parts so we can give you an update on how long the repairs will take to complete. Q: How much will it cost to repair my car? A: The cost of parts and labor varies from car to car, so we have to do a thorough inspection before we can give an accurate estimate. Q: Do you charge for diagnostics? A: Our employees are well-trained and our equipment is very expensive, so like many other shops, we charge for diagnostics. 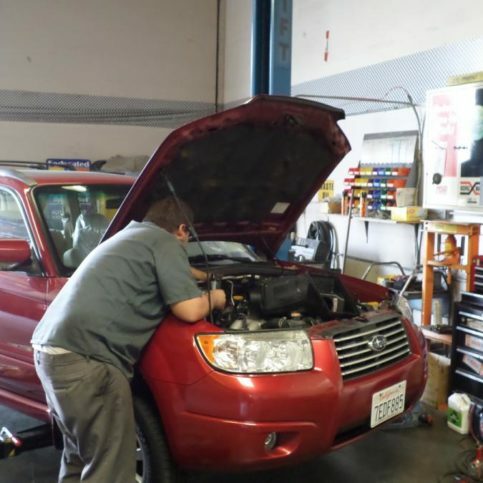 Some shops have cheap code readers and will provide a diagnosis based solely on results from that system, but we understand that a code reader only gives the mechanic a starting point to find out what’s wrong, so we spend time pinpointing the exact problem rather than just replacing the first part that’s diagnosed as problematic. Q: Do you provide courtesy rides or rental cars? A: We provide free rides for customers within five miles of our shop, and we also offer Enterprise rental cars at a lower rate than average rental fees. If you want to wait until your car is ready, we have a waiting room with free Wi-Fi and hot coffee. SELECTED PHOTOS FROM ASAP Automotive, Inc.
ASAP Automotive also works on vintage cars. 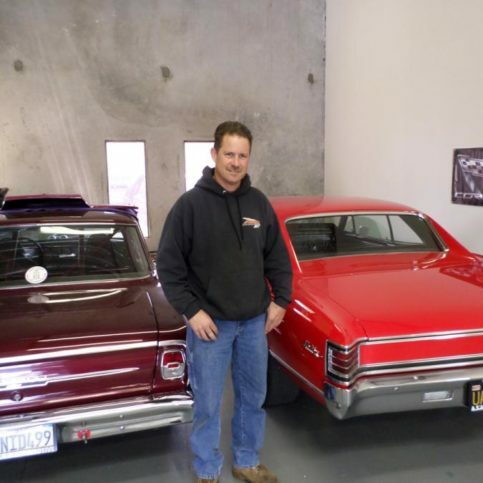 Owner Ron McLeod stands next to two recently repaired classic cars. 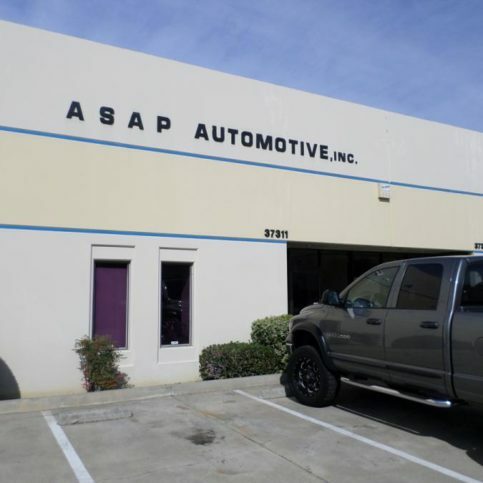 ASAP Automotive is conveniently located at 37313 Blacow Road in Fremont. 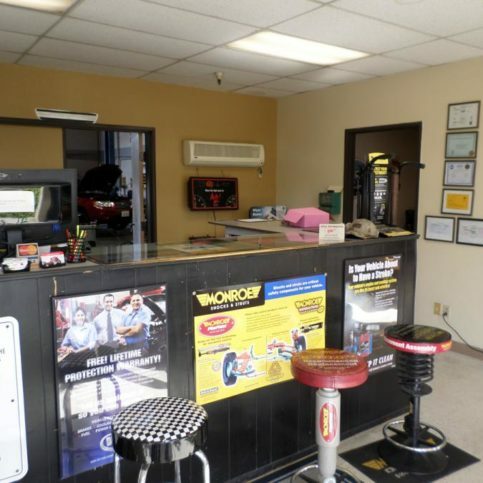 ASAP Automotive provides a spacious waiting area and free Wi-Fi for its customers. NHRA Top Fuel drag racing star Clay Millican recently paid a visit to ASAP Automotive’s shop. 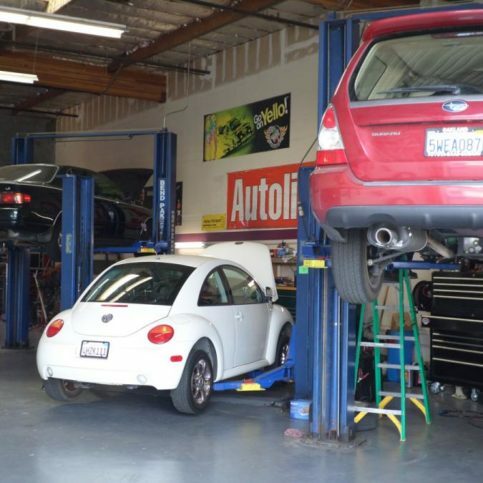 ASAP Automotive’s technicians are trained to service all types of American and Japanese vehicles. Ron McLeod is owner of ASAP Automotive, Inc., a Diamond Certified company since 2014. He can be reached at (510) 398-0718 or by email. 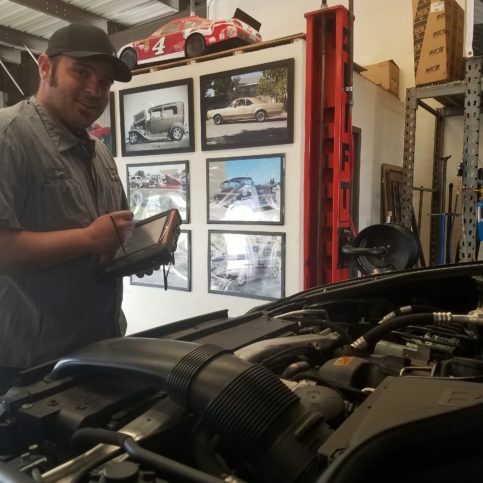 Following high school, Ron attended Arizona Automotive Institute before entering the workforce, where he quickly earned a reputation for excellence. “I ended up being the top mechanic at every place I worked, even when it was a chain with multiple stores,” he says. Despite his success, Ron wasn’t satisfied with working for someone else. “Even when I was 14 years old, my goal was to work for myself—it was just matter of finding the right time and place.” In 1994, he realized his lifelong dream and opened his own shop. In keeping with his automotive passion, Ron’s involvement with cars extends beyond his work at the shop. “I’ve always been involved with drag racing, and I do it on occasion,” he says. 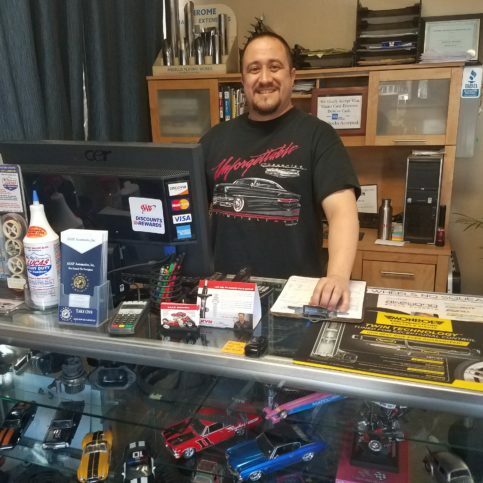 “My youngest son, Kyle, and I go to Hollister and Pismo Beach fairly often to attend various car shows and drag races.” When he’s not out at the race track or a car show, Ron enjoys watching movies and keeping up with his three other grown children: Andy, Matt and Brittany. A: A 1967 Chevrolet Chevelle. A: Either relax and watch a movie or tinker on one of my project cars in the garage. A: I was the class clown—people used to call me McClown. A: Music. I mostly listen to classic rock. Q: Who was the best James Bond? 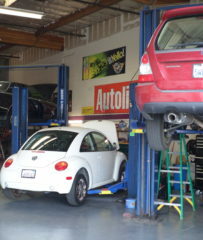 First of all, oil changes are crucial for the healthy functioning of a vehicle’s engine. That’s because engines depend on oil to lubricate their many moving parts. Over time, engine oil gets dirty, which makes it less effective at its job. Furthermore, oil can start to run low if it’s not changed and refilled. Either of these scenarios can lead to severe engine damage. Oil changes are also important because they double as safety check-ups for your vehicle. In addition to changing the oil, an oil change technician checks several aspects of the vehicle, including tire pressure, fluid levels, the functionality of the lights and the condition of the wiper blades. At ASAP Automotive, we know firsthand the value of these safety inspections. Over the years, we’ve seen everything from broken axle boots to completely bald tires to near-empty brake fluid reservoirs, all of which represent major road safety hazards. That’s why engine performance isn’t the only reason you should stay on top of oil changes­­—they also help ensure the rest of your vehicle is in safe driving condition. FREMONT — Cabin filter replacement is one of the most commonly overlooked aspects of vehicle maintenance. Designed to filter out elements like dust and pollen, a cabin air filter provides clean air for a vehicle’s driver and passengers. However, a lot of people don’t even know what a cabin filter is, which is why the filters in many vehicles simply never get changed. Even though a cabin filter is designed to improve air quality, it can actually have the opposite effect if it’s ignored. In many cases, when a cabin filter is neglected, it becomes inundated with dirt and grime, and it can even start to grow mold. To keep your vehicle’s cabin air clean and safe, have your cabin filter changed every 15,000 miles, as per manufacturer recommendations. Diamond Certified Expert Contributor, Ron McLeod: Hi. I want to explain the importance of an oil change. And oil change isn’t just an oil change, it’s a full visual inspection, checking the wipers, checking the lights, checking the tires. A lot of people think that you go in and you have an oil change just because it’s something that the manufacturer or somebody else is recommending you have done. But it’s actually a very important thing to have done. 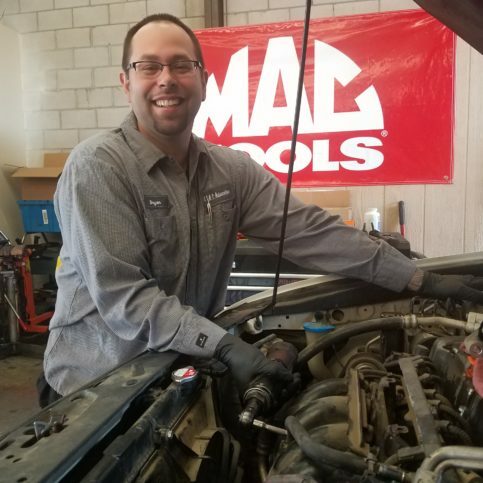 When you come in to a – the shop, we check the tire pressure, the fluids, all the lights, and go through and do a full visual inspection, which is what they used to do in the olden days at gas stations. But nobody every opens the hood anymore and really looks to see what’s going on with their cars. Some of the things we’ve seen when people come in for an oil change are broken axle boots or tires that are worn completely down to the cords showing, or even almost completely out of brake fluid. So it’s very important to get your oil changed at least a couple of times a year, to have your car fully inspected and fully looked over, just for your safety and the safety of others. FREMONT — Host, Sarah Rutan: A vehicle’s cabin filter is designed to provide clean air for its passengers, but if it isn’t regularly maintained, it can have the opposite effect. Today, we’re in Fremont with Diamond Certified Expert Contributor Ron McLeod of ASAP Automotive to learn more. Diamond Certified Expert Contributor, Ron McLeod: One of the things that’s often missed on maintenance is the cabin filter. The cabin filter, as you can see, can get really dirty. What they’re designed for is to stop the pollen and the dust from getting inside the car; but, unfortunately, it is an item that gets missed, and then they start getting moldy and can cause other problems. It is recommended to replace the cabin filter every 15,000 miles. As you can see, this one is much cleaner and much nicer than the other one, and it is designed for your health and your protection to stop dust and pollen from getting inside the car. 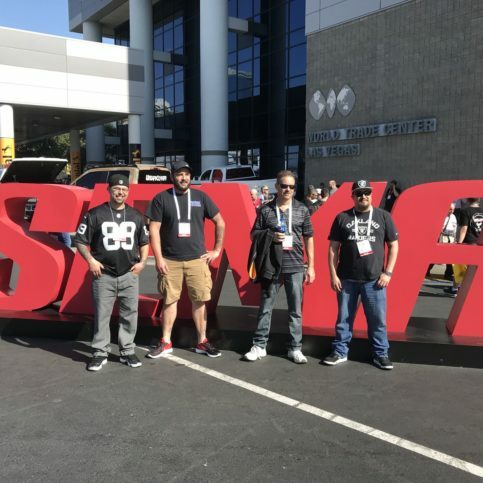 Diamond Certified RATINGS ON ASAP Automotive, Inc.
ASAP Automotive, Inc. : Average 9.2 out of 10 based on 175 unique customer surveys of customer satisfaction. They throw a great barbecue. As a woman, you want them to be fair, and they are more than fair. They have even reduced my bill substantially. They don't try to push other maintenance work on your car. They don't try to upsell you. The owner is a really good. He actually gave me a ride when I needed to get home. They are very honest and reasonabley priced. Their service is excellent and the pricing is not excessive. The shop I choose is ASAP. As a tow truck driver, I cannot recommend a particular shop as a place to go, but I tell people that my particular mechanics are at ASAP. They are honest and will walk you through the entire process. They always make sure that you are happy. It is a reputable place, and they are honest. They give a AAA discount. They showed me on the lift what was wrong with my car. They were a good service. They get down to the problem. They listen to me when I have concerns about my car. They are honest and prompt. Overall, they are a good service.